Searching for the right house design can be a nightmare. It can take huge amounts of time to thoroughly scrutinise every design you come across to determine if it will be the right fit for you and your family. In the end, you may find some things you like from multiple floor plans but nothing that checks off all the boxes and that’s when custom home builders mandurah come in handy. The great thing about building custom homes is that you are certain to get what you want wrapped up into one completely personalised and unique package. If you have budget constraints then your home design can also be tailored to work within your limits. You don’t need to have any formal drawings or sketches to take into a custom builder they will start by noting down any elements you’ve found that you know you want in your home (for example, higher ceilings or a scullery) and work with you to add in the missing pieces until you are happy with the finished product. If there are certain things you know you want in your new custom home but you don’t know what they are called, it can be very useful to take pictures along with you especially if you are not sure how to explain what you want. 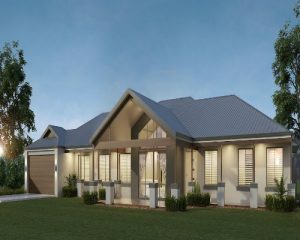 When choosing the right mandurah home builders you should ask to see examples of their past jobs and take note of the standard of their finished homes as this is a good indicator of how your new home will be constructed. If possible, check out one of their current construction sites to see how their tradespeople operate- are they working in a safe manner? Is the site clean and accessible? You should also ask any questions you may have regarding their building processes and alleviate any concerns prior to committing to a builder. Taking that little bit of extra time to research your home builders mandurah can reduce the number of issues that may arise during your build. If you are looking to custom design your home in Perth, the team at Great Living Homes are committed to providing an extensive creative design service and they will walk you through each step of the construction process. They also offer a wide range of resilient building materials to choose from and they harness a unique method of construction which can reduce the costs to build your custom home as well as the overall build time. The team at Great Living Homes are passionate about providing excellent service and building quality, resilient homes that will last for lifetimes to come.